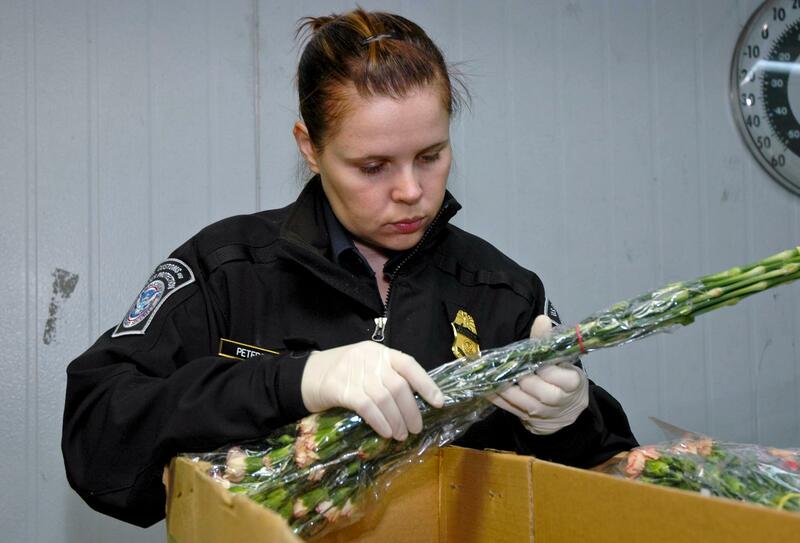 An agriculture specialists looks for results of a test given to imported flowers. 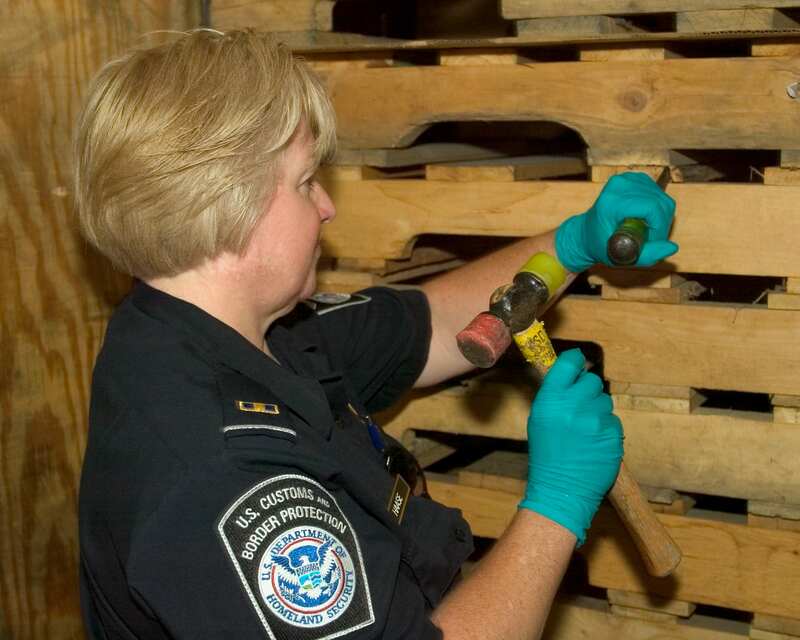 Chipping away at wood pallets that bring products into the U.S. an Agriculture Specialist looks for wood boring pests. 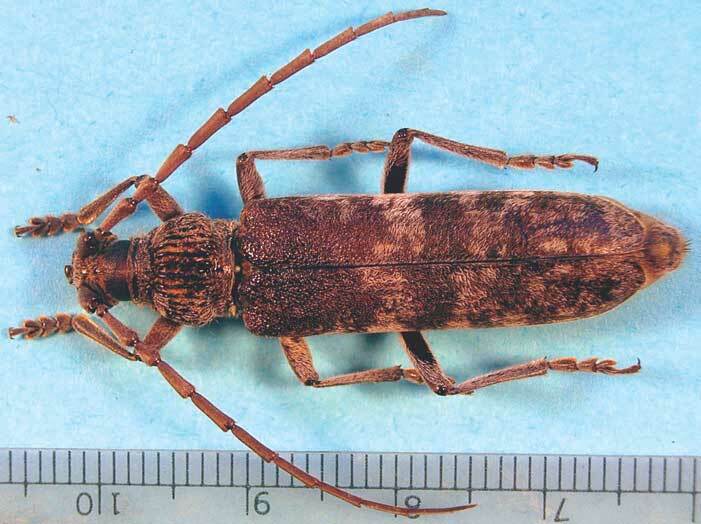 A long-horned beetle, Rhytidodera bowringii, discovered in a container of granite counter tops. 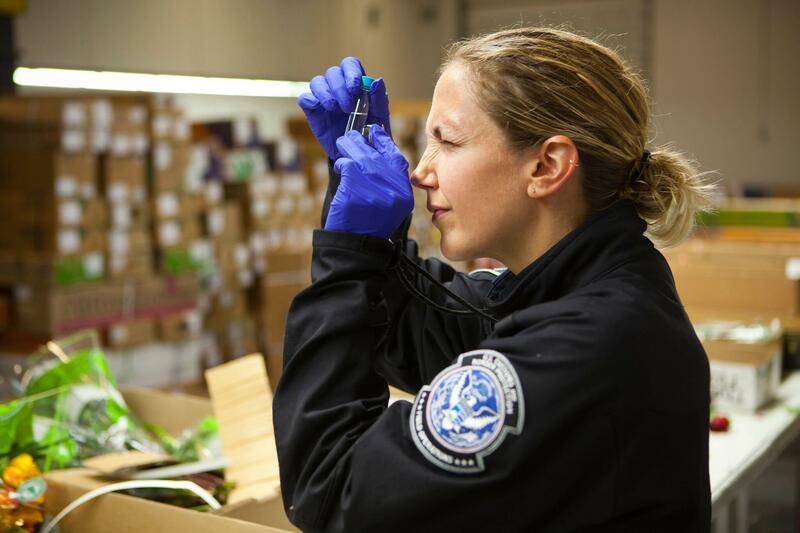 CBP agriculture specialist examines flower stems. 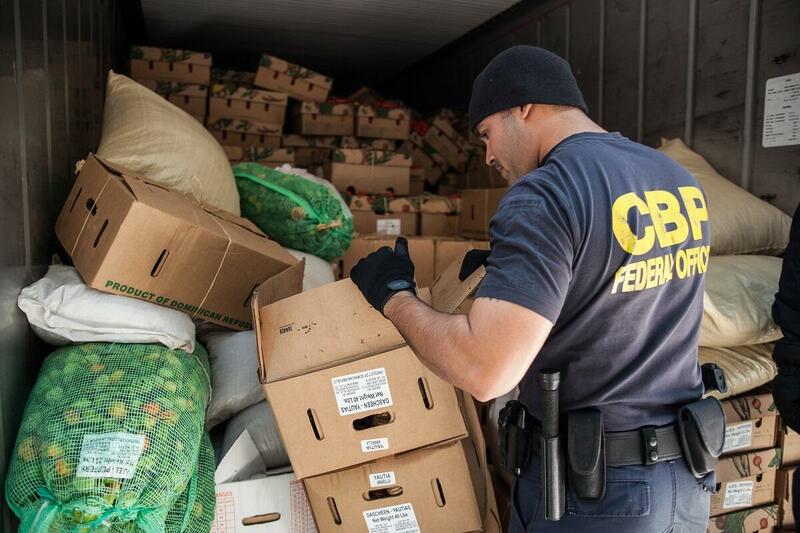 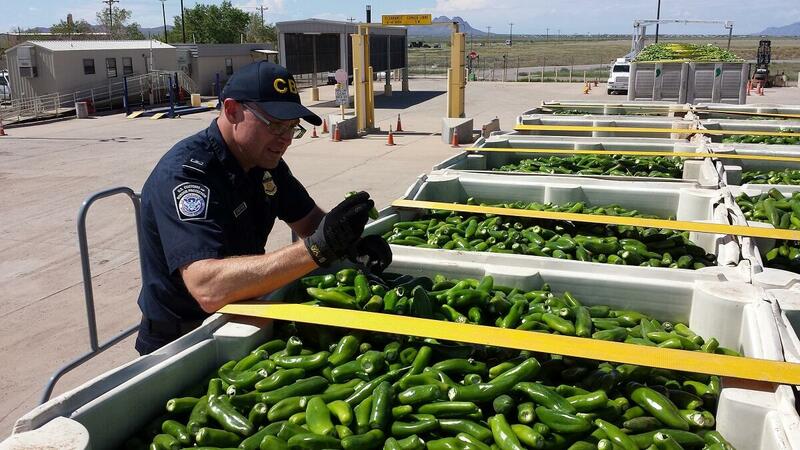 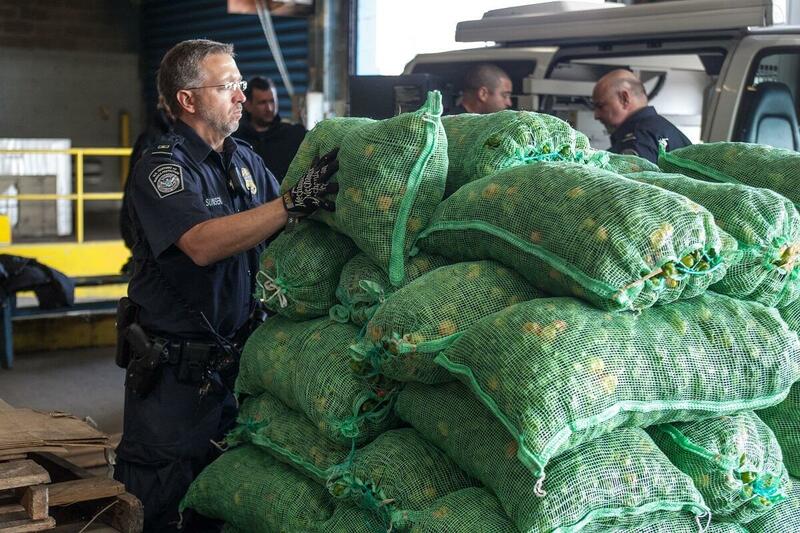 Hot Peppers recently unloaded from trucks crossing into the U.S. await inspection by CBP Agriculture Specialists. 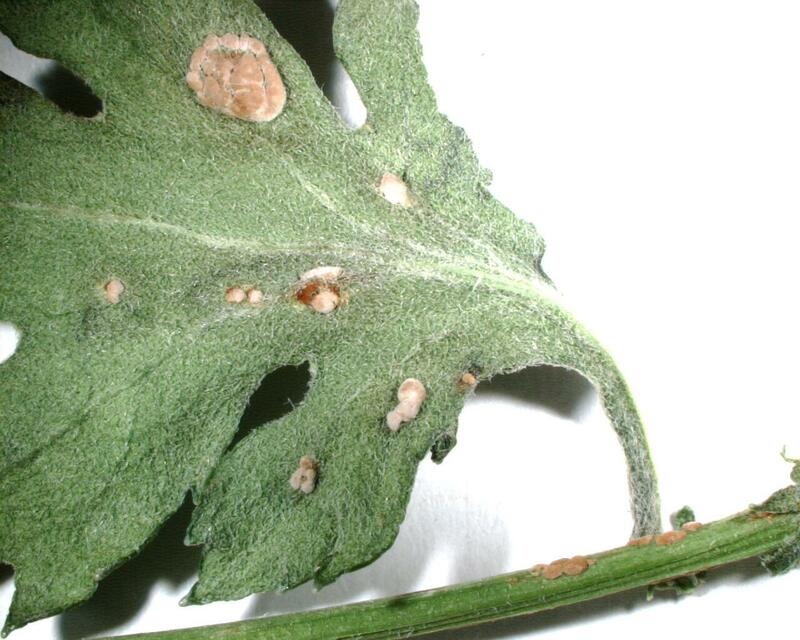 Crysanthemum white rust, Puccinia horiana ,on the upper leaf surface and stem of an infected Crysanthemum. 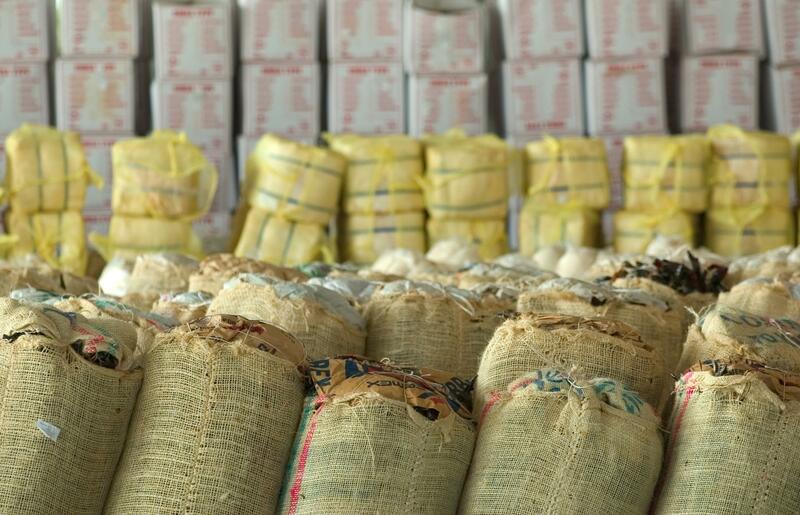 Infected Crysanthemums are unmarketable resulting in large economic losses. 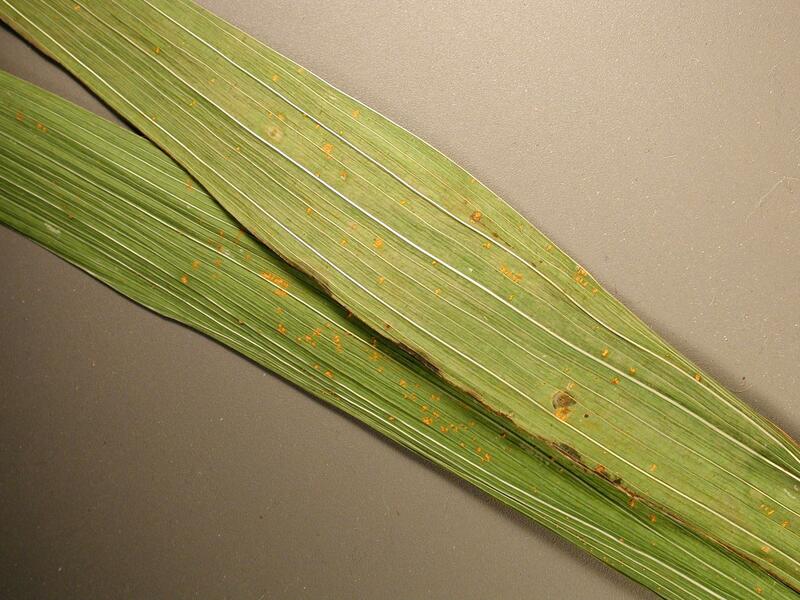 Gladiolus rust, Uromyces transversalis, on the leaves of cut Gladiolus flowers. 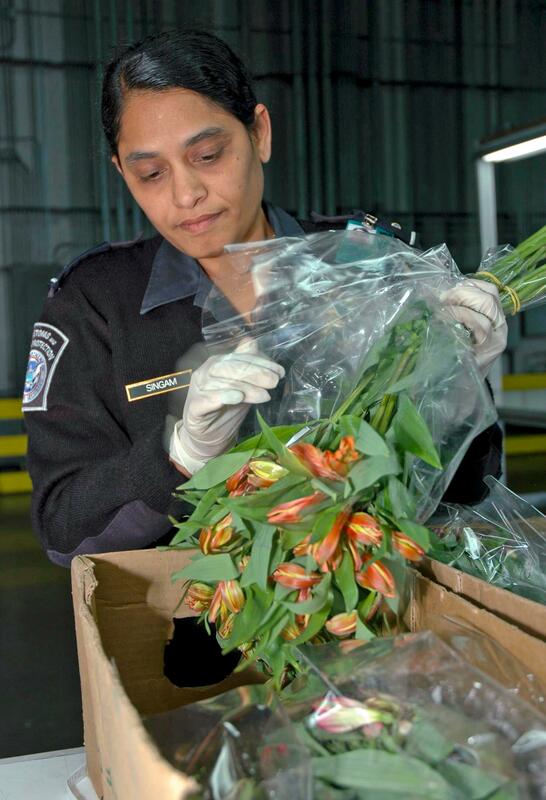 An agriculture specialist at Miami International Airport inspects flowers. 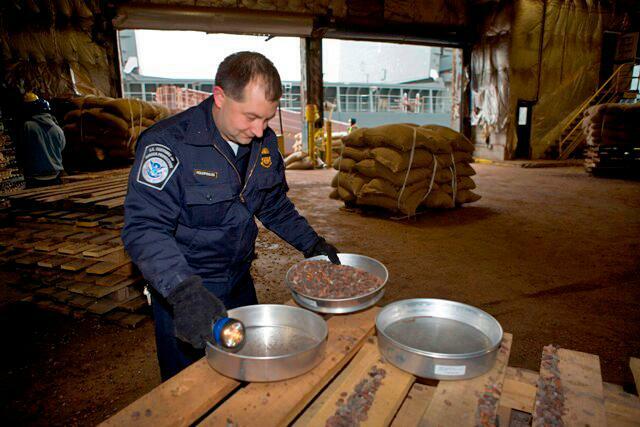 CBP agriculture specialist inspects cocoa beans. 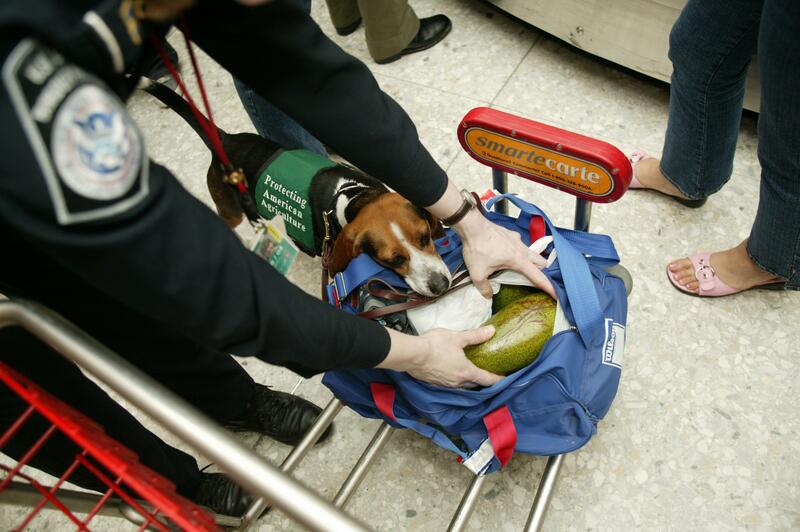 This Beagle finds an illegal food product that may contain pests harmful to U.S. agriculture. 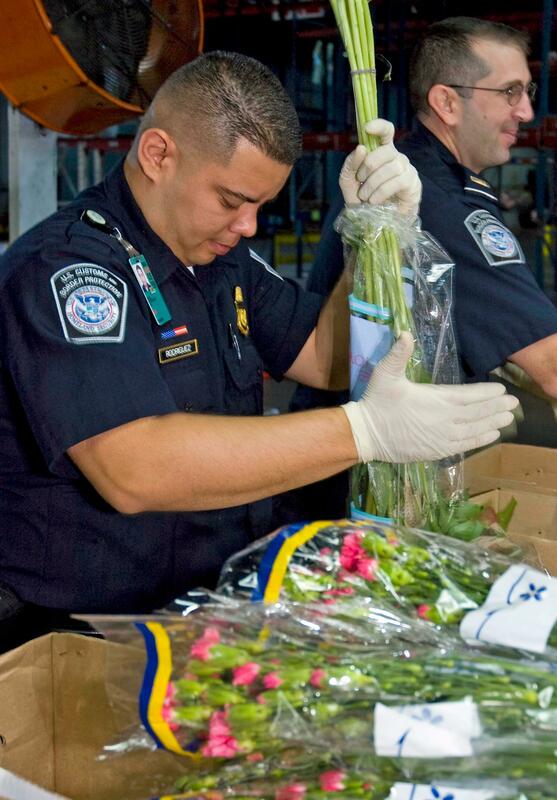 CBP agriculture specialist at work at Miami International Airport. 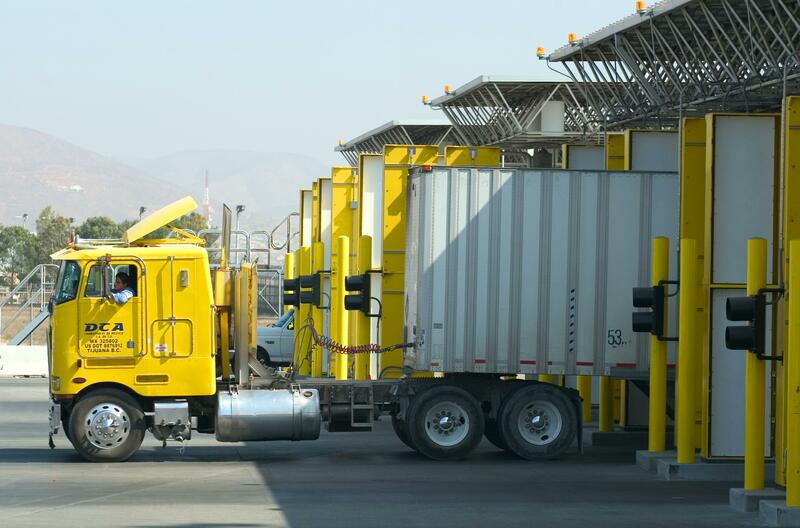 Trucks bring products into the U.S. through the Otay Mesa border crossing where CBP Agriculture Specialists inspect their cargo. 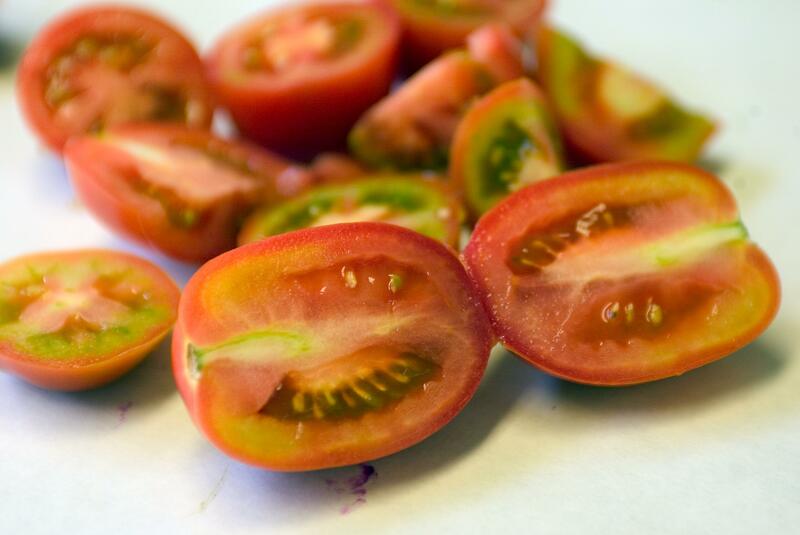 Agriculture Specialists check inside cherry tomatoes coming into the Port of Long Beach for potential pests. 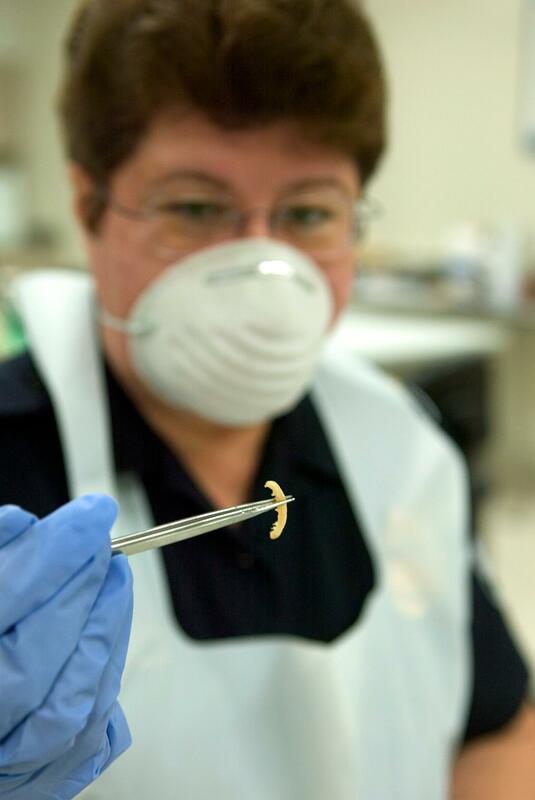 CBP Agriculture Specialist finds a pest potentially dangerous to American crops. 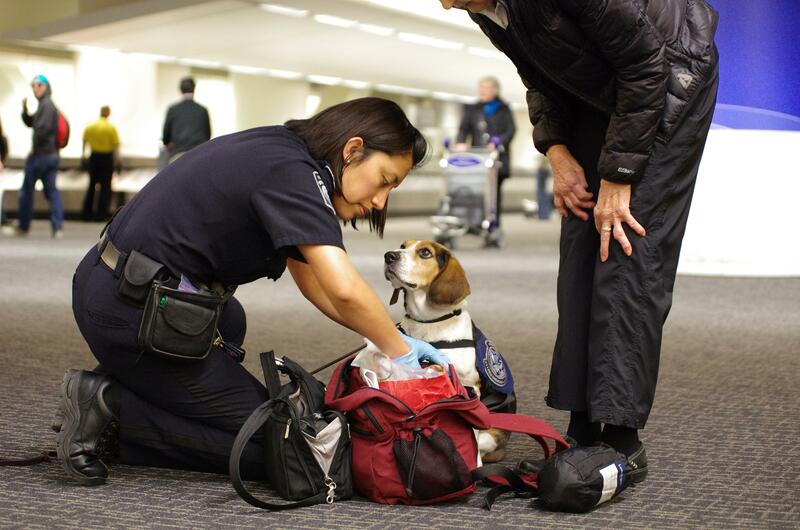 A CBP Agriculture Specialist checks to see what her partner, Tyco, has detected in a traveler's carry-on bag at the San Francisco International Airport.